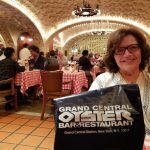 The Grand Central Oyster Bar is an iconic New York City restaurant. 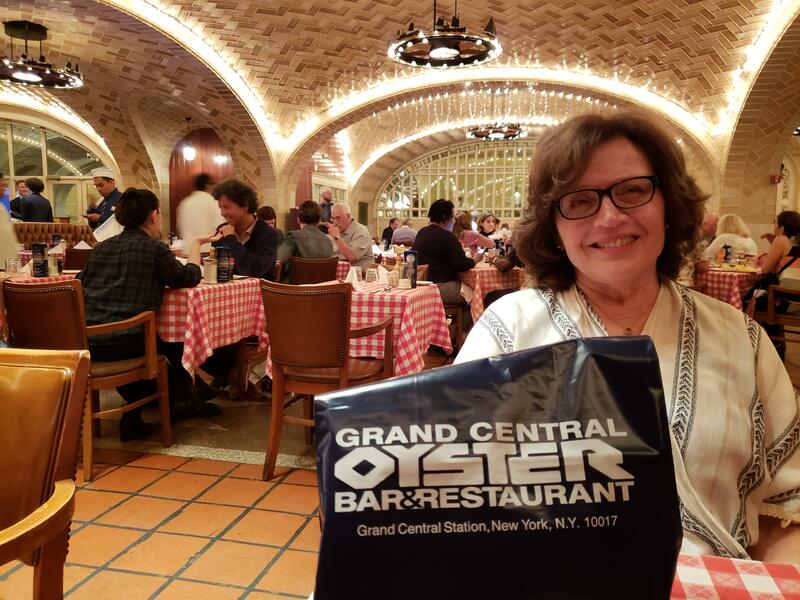 Open since 1913, it has been serving impeccably fresh seafood to generations in its distinctive vaulted space on the lower level of Grand Central Terminal. It’s the granddaddy of seafood restaurants, a category that has been evolving in recent years as the supply of fresh fish has changed. Wild caught fish from local waters has become increasingly scarce as over fishing and climate change have reduced once bountiful stocks below sustainable levels. 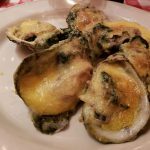 At seafood restaurants these days, shellfish abounds – oysters, clams, shrimp, and scallops are plentiful. A close reading of the menu, though, reveals that a good deal of the fin fish being offered is farmed. The changes have pushed chefs to be more creative, explore unfamiliar varieties of fish, and lead their customers to new culinary experiences. The days of broiled scrod and sauteed sole are gone. Instead, seafood restaurants are working with farmed fish like Arctic Char (a cousin of Salmon), Branzino, Brook Trout, Catfish, Ocean Trout, and salmon from around the North Atlantic and as far away as New Zealand. At the Oyster Bar, oysters have always been the menu’s focus. You’ll be happy to know that Norwalk’s Copps Island Oysters have pride of place at the top of the list of the twenty varieties offered. 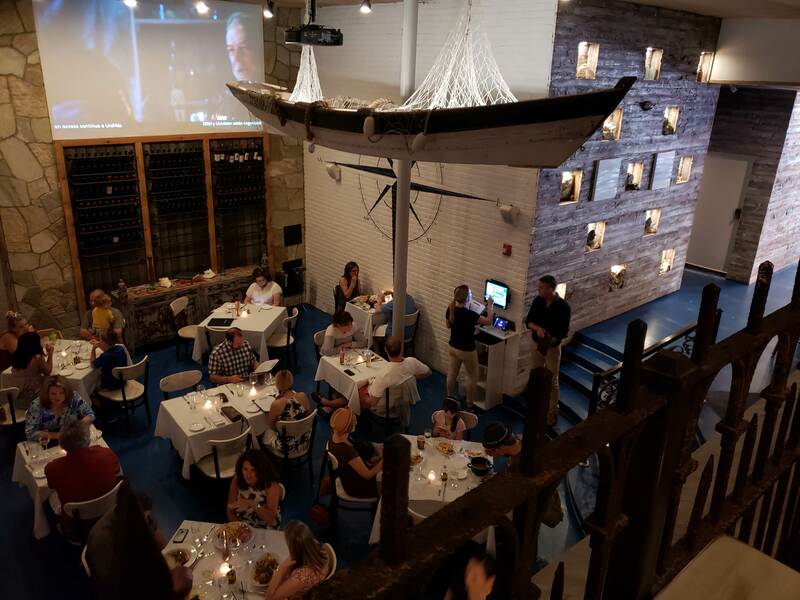 In fact, the restaurant has its own oyster bed leases in Long Island Sound that are farmed by local oyster men, Norm Bloom and Sons, under the Copps Island brand. 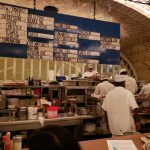 I spent a few minutes watching the expert shuckers opening oysters at an almost impossible speed. Right next to them the famous oyster stews ($14) and pan roasts ($14.50) are made in the iconic single serving steam kettles. 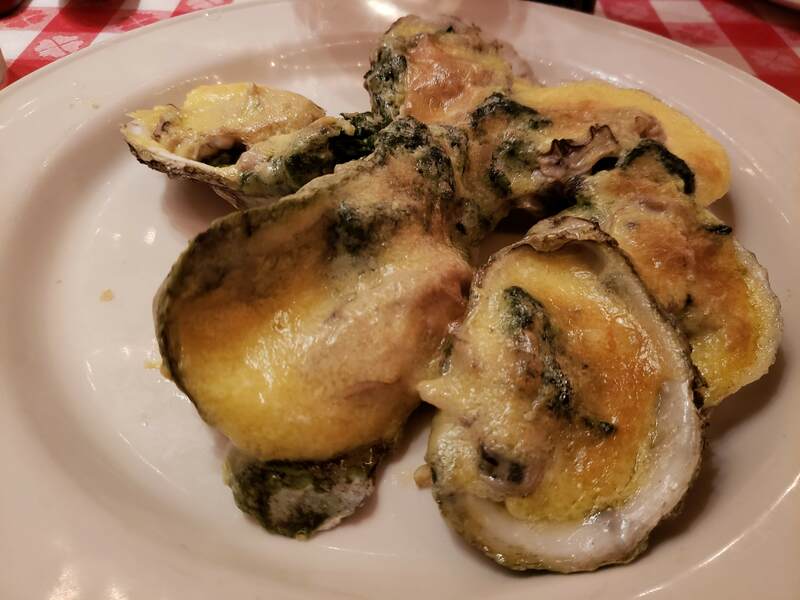 Our shared Oysters Rockefeller ($16.50) was a classic – oysters dressed with chopped spinach under a hot and bubbly blanket of cream sauce. The right-off-the-boat fish is cooked with a minimum of intervention – my pan-seared Scottish ocean trout ($30) had a splash of pumpkin seed oil, while Marsha’s grilled local swordfish ($32) was served over a refreshing baby arugula salad with mint blood–orange dressing. We’re blessed with lots of excellent local seafood restaurants. 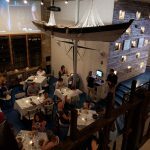 The Saltwater Grill is just celebrating its first anniversary on Washington Street in SoNo. 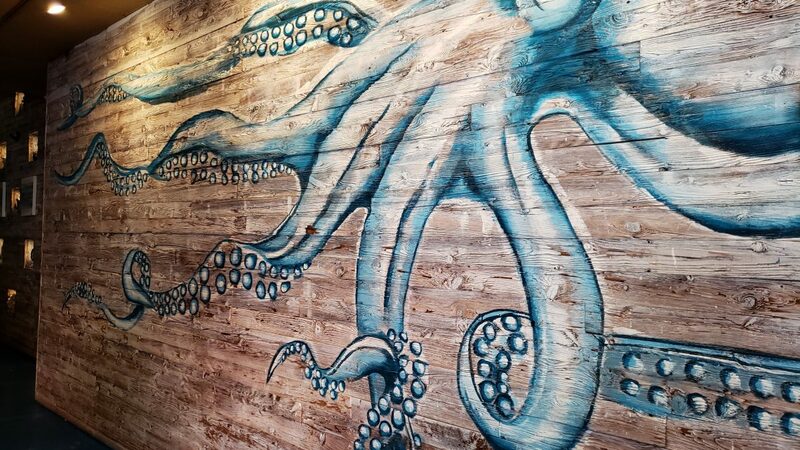 The beachy vibe of the double-height dining room, done up in saltwater blue, sets the mood for some good seafood. 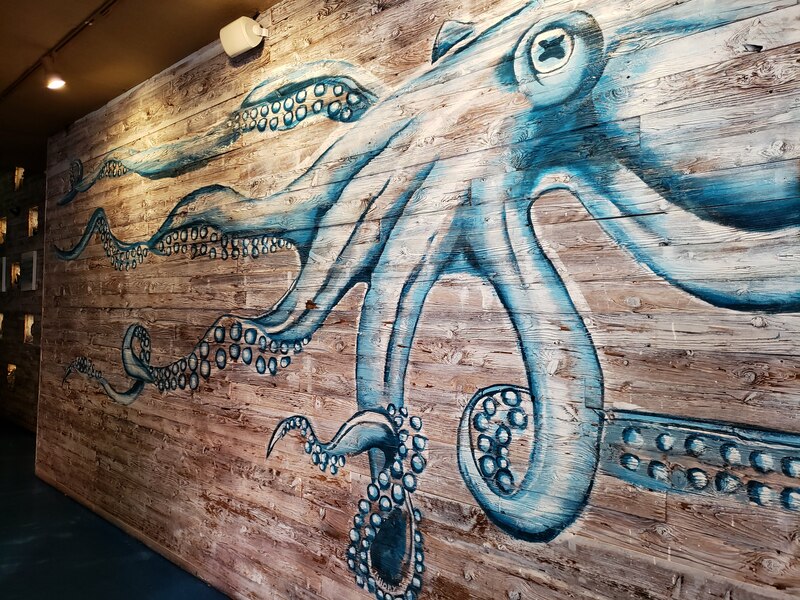 There’s a raw bar with the oysters displayed on ice across from a larger-than-life mural of an octopus pointing the way to the dining room. sea of lobster sauce sprinkled with English peas. Clean plate club for both of us! 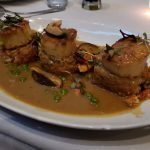 I’m looking forward to a return trip to try the spicy fish stew, seafood risotto, linguine with shrimp and scallops, and the pan seared red snapper. 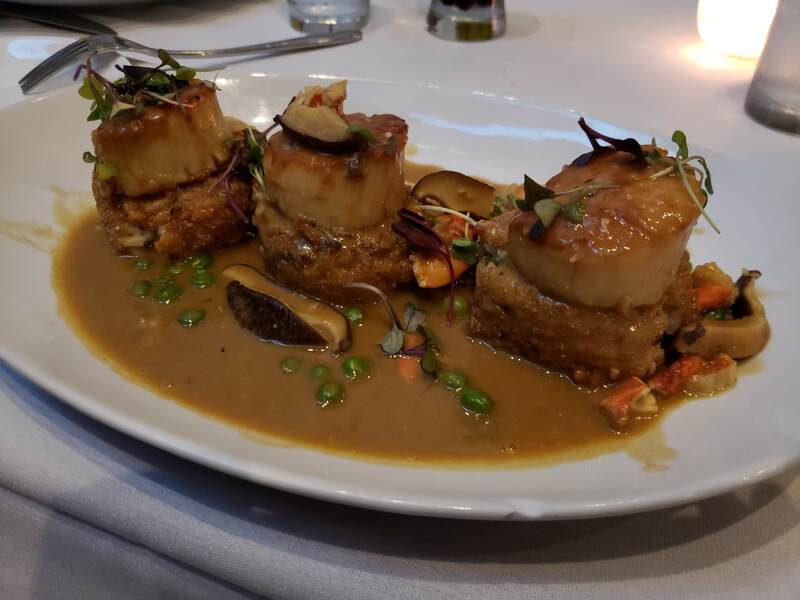 The Restaurant at Rowayton Seafood was just named the “Best Seafood” restaurant by the New Canaan, Darien Magazine. It has the benefit of a waterfront location and the authenticity of its own seafood market. The Beach House in SoNo just across from the Maritime Aquarium has a wide-ranging seafood menu. Bring your shades to the Sunset Grille to watch the eponymous show over Norwalk Harbor and sample their seafood menu. 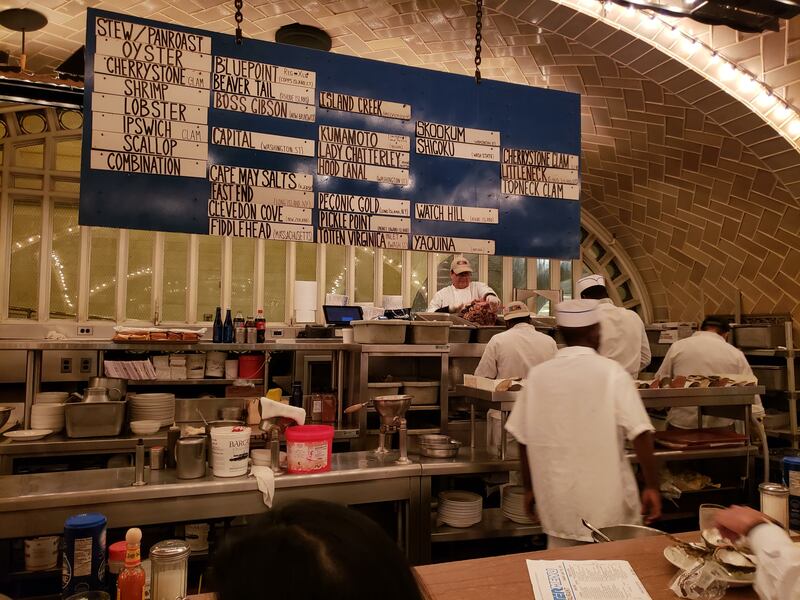 At The Grand Central Oyster Bar they’ve been serving seafood under the same magnificent tiled arches for over 100 years – the oyster stews and pan roasts from the original recipe. But locally, the field is packed with innovators, bringing new flavors and approaches to fresh fish.